Utah County Fresh Start reports Provo bankruptcy rates. Five years into this current recession, bankruptcy filings are decreasing but pressure is still high on families and individuals. Pressure is still high on families. Foreclosures in Utah are still very high. We want all of the people in our area to know that if they are considering filing a Provo bankruptcy, we are ready and able to help them get out of their own financial crisis. Utah County Fresh Start, a Provo bankruptcy law firm has released some compiled data about the improving condition of Bankruptcy in the state of Utah. Continually ranked as the state with the highest bankruptcy rate, Utah is seeing a decrease in bankruptcy rates in its metro areas as well as other areas statewide. Salt Lake City and Provo Bankruptcy rates have been on the decline in recent months. As of the end of January 2012, there were 1103 filings for bankruptcy in the state of Utah. Compared to Salt Lake and Provo bankruptcy filing in January 2011, which were a total of 1163 filings, there has been a 5% overall decrease. This is likely a result of the improved economy and the fact that the United States is five years into this current recession. 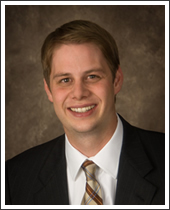 Provo Bankruptcy lawyer Jeff Cardon says, "Provo bankruptcy is still an issue and will unfortunately always be. Five years into this recession we are seeing that things are at least beginning to stabalize but forclosures are still on the rise. The best thing for residents considering to file for bankruptcy in Provo is to actually file with the assistance of an attorney. We can help them get the best results from their situation". This time of year seems to be an optimal time for people to file for bankruptcy. With income tax returns coming into households, families and individuals may find it easier to handle the costs of filing. In the Utah County area, where according to Realty Trac there are still high foreclosure rates. There are resources to assist families and individuals experiencing financial problems and considering bankruptcy in the Provo area. Cardon continued to comment on the bankruptcy/foreclosure issue: "Pressure is still high on families. Foreclosures in Utah are still very high. We want all of the people in our area to know that if they are considering filing a Provo bankruptcy, we are ready and able to help them get out of their own financial crisis". Our firm was organized with a commitment to provide exceptional legal services. Our Provo bankruptcy attorney is dedicated to provide personal attention to every client and to adapt to the unique needs of every case. His goal is to exceed your expectations for performance and results. Your bankruptcy is important to you, so our Provo bankruptcy attorney will handle your case as if it were his own. Don't face the challenge of bankruptcy alone, let our expert Provo bankruptcy attorney, Jeffrey Cardon, show you how to recover from debt. To have a free consultation with Jeffrey Cardon, fill out a free evaluation form today.